Parents, teacher and the Oklahoma Bureau of Narcotics are up in arms over "i-dosing," a new craze sweeping the nation in which kids get high by putting on headphones and listening to "digital drugs." The trouble with a story like this is that it's so unbelievably stupid and overwrought that deep down inside, I can't help but think that maybe there's actually some truth to it. I mean, who would make up something this ridiculous? The concerned folks at Oklahoma's News 9 certainly seem to be taking it seriously as they talk breathlessly about the "alarming new trend" that has "parents, educators and law enforcement officials" fretting over the latest danger facing today's kids. "I-dosing," as it's known, involves slapping on headphones and listening to "binaural, or two-tone technology, to alter your brain waves and mental state." The sounds apparently induce effects similar to those caused by marijuana, cocaine, opium and peyote, with different tracks presumably causing different effects since it's no great secret that the effects of marijuana, cocaine, opium and peyote are completely different from one another. Unless you're from Oklahoma, maybe. "Kids are going to flock to these sites just to see what it is about and it can lead them to other places," said Oklahoma Bureau of Narcotics and Dangerous Drugs spokesman Mark Woodward. "If you want to reach these kids and save these kids and keep these kids safe, parents have to be aware, and they've got to take action." Oklahoma's Mustang High School is taking the threat seriously enough that it sent letters home to parents warning them of the dangers of i-dosing and has also "cracked down on the use of cellphones and other technology while on campus." And it's not just teachers who are worried; even some students, like Meghan Edwards, are concerned about the dangers of digital drug fiends run amok. "I heard it was like, some weird like demons and stuff, through an iPod or something, and he was just freaking out," she said. 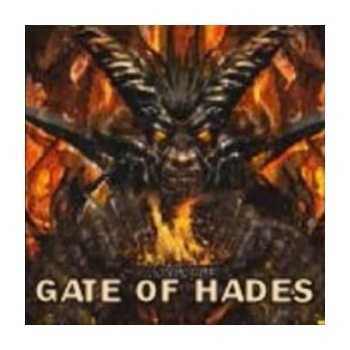 Like all good drugs, the first one is always free and thus I present to you "Gates of Hades", a unique auditory experience that falls somewhere between "phaser on overload" and "my snooze button is broken." Enjoy! And remember, if the cops ask, you never heard of me. Got it?